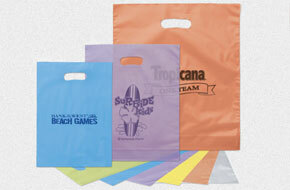 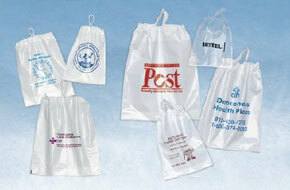 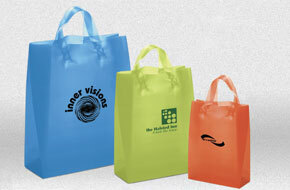 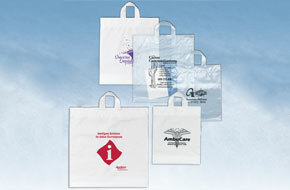 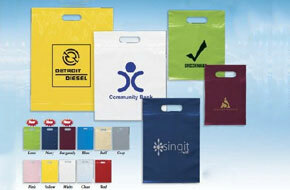 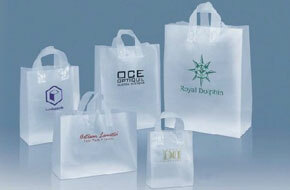 Plastic Bags, Plastic Shoppers, Custom Logo Plastic Bags | Starpack, Inc.
Our plastic bags are available in a variety of styles including hi density frosted plastic bags with fused loop handles and cardboard bottom inserts. 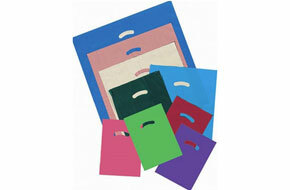 Die cut handle bags are available with reinforced handles and bottom gussets on selected sizes. 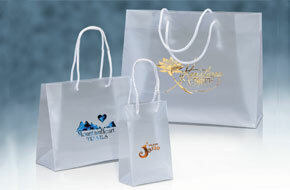 Special foil hot stamp imprinted on our Eurototes with macrame handles or clear plastic tube handles, reinforced fold over top and cardboard bottom insert. 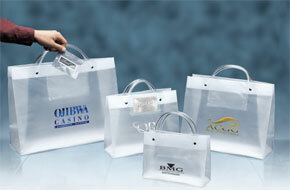 Add decorative tissue, ribbon and bows to compliment your bag.